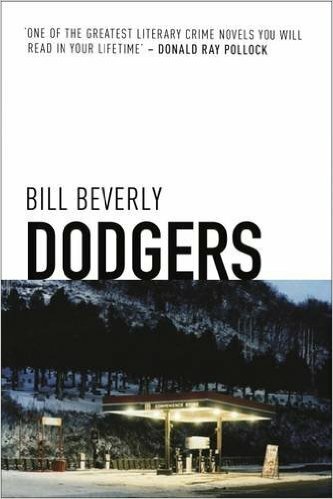 Bill Beverly has taken out 2016 Golden Dagger Awards for both best crime fiction and best debut for Dodgers. This is the type of crime novel that is steeped in the criminal world. There are no murders to be solved, no stunning late novel twists, no confession in the library or carefully staged plea bargains. This is a story about criminals, about crime and redemption, that shines a light on modern America. East is a yard boy for a Los Angeles drug operation. His job is to manage the group pf teenage boys who stand guard around the houses where people come to buy and take drugs. At fifteen he is already lost to the system, living out of a cardboard box, having to find his own way and working for that gang to support his young single mother. When the drug operation is blown, East is given a new assignment by his boss Fin, a man to whom he is also related – to go with three other boys, including his trigger-happy younger brother Ty, to Wisconsin to kill a potential witness in an upcoming trial. East and his three companions, young black teens, are all out of their comfort zone and out of their depth as they are asked to drive a van from LA , the only place most of them have ever known, across the middle of America. The four represent different archetypes – Michael the brash older boy who has been to college, Walter the young intellectual used to helping the gang with the books, Ty a thirteen year old killer with a thing for guns and East, the conscience of the group somewhere in the middle, trying to do the right thing. For a while Dodgers is a bizarre roadtrip in which, as could probably be expected, nothing goes to plan. The more the boys have to improvise the more their desperation and characters emerge. About two thirds of the way through, as the original plan continues to disintegrate in the light of the real world, the book changes pace but not intent, continuing to focus on the situation and plight of the American rust belt through the eyes of outsider East. Dodgers is a stunning debut. A tough novel full of tough characters often doing questionable things, it nevertheless has a strong sense of humanity. East is an original and sometimes heartbreaking literary creation. A fifteen year old wise before his years but with plenty of growing up still to do. Other characters too, both the boys themselves and people they meet, leap off the page. If you are looking for a crime novel that provides some modicum of comfort in crimes solved then perhaps Dodgers is not the book for you. But if you want a crime novel that delivers a page turning story but also in a timely way explores American culture and society then Dodgers should be on your list.